The Social Security Administration was established by a law codified at 42 U.S.C. § 901. It was created in 1935 as the Social Security Board, then assumed its present name in 1946. Its current leader, Deputy Commissioner of Operations Nancy Berryhill, was acting commissioner from January 19, 2017 through November 17, 2017. SSA is headquartered in Woodlawn, Maryland, just to the west of Baltimore, at what is known as Central Office. The agency includes 10 regional offices, 8 processing centers, approximately 1300 field offices, and 37 Teleservice Centers. As of 2018[update], about 60,000 people were employed by SSA. Headquarters non-supervisory employees of SSA are represented by American Federation of Government Employees Local 1923. Social Security is the largest social welfare program in the United States. For 2014, the net cost of Social Security was $906.4 billion, an amount corresponding to 21% of US Federal Government expenditures. It has been named the 12th best place to work in the U.S. federal government (out of 55 large agencies). The Social Security Act created a Social Security Board (SSB), to oversee the administration of the new program. It was created as part of President Franklin D. Roosevelt's New Deal with the signing of the Social Security Act of 1935 on August 14, 1935. The Board consisted of three presidentially appointed executives, and started with no budget, no staff, and no furniture. It obtained a temporary budget from the Federal Emergency Relief Administration headed by Harry Hopkins. The first counsel for the new agency was Thomas Elliott, one of Felix Frankfurter's "happy hot dogs". The first Social Security office opened in Austin, Texas, on October 14, 1936  Social Security taxes were first collected in January 1937, along with the first one-time, lump-sum payments. The first person to receive monthly retirement benefits was Ida May Fuller of Brattleboro, Vermont. Her first check, dated January 31, 1940 was in the amount of US$22.54. In 1939, the Social Security Board merged into a cabinet-level Federal Security Agency, which included the SSB, the U.S. Public Health Service, the Civilian Conservation Corps, and other agencies. In January 1940, the first regular ongoing monthly benefits began. In 1946, the SSB was renamed the Social Security Administration under President Harry S. Truman's Reorganization Plan. In 1953, the Federal Security Agency was abolished and SSA was placed under the Department of Health, Education, and Welfare, which became the Department of Health and Human Services in 1980. In 1994, President Bill Clinton signed into law 42 U.S.C. § 901 returning SSA to the status of an independent agency in the executive branch of government. In 1972, Cost of Living Adjustments (COLAs) were introduced into SSA programs to deal with the effects of inflation on fixed incomes. SSA was one of the first federal agencies to have its national headquarters outside of Washington, D.C., or its adjacent suburbs. It was located in Baltimore initially due to the need for a building that was capable of holding the unprecedented amount of paper records that would be needed. Nothing suitable was available in Washington in 1936, so the Social Security Board selected the Candler Building on Baltimore's harbor as a temporary location. Soon after locating there, construction began on a permanent building for SSA in Washington that would meet their requirements for record storage capacity. However, by the time the new building was completed, World War II had started, and the building was commandeered by the War Department. By the time the war ended, it was judged too disruptive to relocate the agency to Washington. The Agency remained in the Candler Building until 1960, when it relocated to its newly built headquarters in Woodlawn. The road on which the headquarters is located, built especially for SSA, is named Security Boulevard (Route 122) and has since become one of the major arteries connecting Baltimore with its western suburbs. Security Boulevard is also the name of SSA's exit from the nearby Baltimore Beltway (Interstate 695). A nearby shopping center has been named Security Square Mall, and Woodlawn is often referred to informally as "Security." Interstate 70, which runs for thousands of miles from Utah to Maryland, terminates in a park and ride lot that adjoins the SSA campus. Due to space constraints and ongoing renovations, many headquarters employees work in leased space throughout the Woodlawn area. Other SSA components are located elsewhere. For example, the headquarters (also known as Central Office) of SSA's Office of Disability Adjudication and Review is located in Falls Church, Virginia. ... it was moved to the Joseph P. Addabbo Federal Building in Jamaica, Queens, in the late 1980s. They have been located in these six cities going back to at least the early 1950s. The origins of the payment centers date back to 1942, when they were known as Area Offices. The first one was established in Philadelphia, with ones in New York, Chicago, San Francisco, and New Orleans, Louisiana soon following. In addition, there are specialized processing centers for the Office of Earnings and International Operations and the Office of Disability Operations, both located in Baltimore. Before the mid-1970s, the Program Service Centers were called Payment Centers. By the late 1960s, the Payment Centers had acquired a reputation as sources of poor bureaucratic performance that people did not want to work in, and a reorganization under a modules system was undertaken during the 1970s in an effort to improve matters. The centers have each employed around two thousand people or more, giving them a major local economic impact, and even relocations within the same metropolitan area have created political conflict. When in the early 1970s, SSA and the General Services Administration said it intended to move payment center operations out of San Francisco and across the East Bay to Richmond, the moved was opposed by San Francisco-representing Congressman Phillip Burton. Burton's efforts were in vain, however, as construction in a redevelopment area in Richmond commenced and the move was made around 1975. Similarly, in the late 1970s, SSA, the General Services Administration, and the Carter administration devised a plan to move the program service center from its main location, in two leased buildings on Horace Harding Expressway in Lefrak City in Rego Park, to a new federal building planned for a revitalization zone in the center of the Jamaica area of Queens. The move was championed by Congressman Joseph P. Addabbo, who represented Jamaica and whose district would gain the over 2,000 federal workers involved, but was opposed by Congressman Benjamin Rosenthal, whose district would lose them. According to Rosenthal, the potential negative impact of the move affected the Elmhurst and Corona neighborhoods most strongly. The move was also supported by Representative Geraldine Ferraro, another powerful Queens figure, who sat on the House Public Works Committee. The dispute was aired in Congressional hearings and embroiled Senator Daniel Patrick Moynihan and developer Richard Lefrak, supporting and opposing the move respectively, as well. In the event, the move went forward and the new, 11-story building in Jamaica – by then named the Joseph P. Addabbo Federal Building, as the congressman had died in the interim – opened in 1988. The two main positions in Program Service Centers have long been claims authorizers and benefits authorizers. The former, now sometimes called claims specialists, establish initial benefits for program recipients, while the latter process complicated changes of entitlements to existing beneficiaries. SSA's coverage under the Social Security Acts originally extended to nearly all workers in the continental U.S. and the territories of Alaska, Hawaii, Guam and the Commonwealth of the Northern Marianas Islands below the age of 65. All workers in interstate commerce and industry were required to enter the program, except railroad, state and local government workers. In 1939, the age restriction for entering Social Security was eliminated. Railroad workers were covered by the Railroad Retirement Board before Social Security was founded. Today, they still are, though a portion of each railroad pension is designated as "equivalent" to Social Security. Railroad workers also participate in Medicare. SSA administers the retirement, survivors, and disabled social insurance programs, which can provide monthly benefits to aged or disabled workers, their spouses and children, and to the survivors of insured workers. In 2010, more than 54 million Americans received approximately $712 billion in Social Security benefits. The programs are primarily financed by taxes which employers, employees, and the self-insured pay annually. These revenues are placed into a special trust fund. These programs are collectively known as Retirement, Survivors, Disability Insurance (RSDI). SSA administers its disability program partly through its Office of Disability Adjudication and Review (ODAR), which has regional offices and hearing offices across the United States. ODAR publishes a manual, called HALLEX, which contains instructions for its employees regarding how to implement its guiding principles and procedures. The RSDI program is the primary benefits program administered by the U.S. federal government, and for some beneficiaries is the vital source of income. Increasing access to this benefit program for low-income or homeless individuals is one of SSA's goals. SSA is a member of the United States Interagency Council on Homelessness and works with other municipal, county, state, local and federal partners to increase access and approval for SSI/SSDI benefits who are eligible. SSA also administers the Supplemental Security Income (SSI) program, which is needs-based, for the aged, blind, or disabled. This program originally went under two separate names, Old Age Assistance (originally Title I of the Social Security Act of 1935), and Disability Assistance (added in 1946). In 1973, these assistance programs were renamed and reassigned to SSA. SSI recipients are paid out of the general revenue of the United States of America. In addition, some states pay additional SSI funds. As of January 2018, over 8 million people receive SSI. For some claimants, this program is harder to receive than funds from RSDI. To warrant a processing time of anything more than a day and an immediate denial, certain specific criteria must be met, including citizenship status, having less than $2,000.00 in countable financial resources, or having countable income of less than $718.00 per month from any source. Disposal of a financial resource (i.e., a deliberate spend-down to fall under SSI resource ceilings) can prevent a person from receiving SSI benefits for a period up to 36 months. Every person with or without a Social Security Number is eligible to apply. But if a person does not meet any of the above criteria or is not a documented resident of the United States, his or her claim can only be taken on paper and will be immediately denied. Even documented residents with legal permanent resident status after August 1996 are immediately denied unless they meet some or all of the SSI criteria listed above. The administration of the Medicare program is a responsibility of the Centers for Medicare and Medicaid Services, but SSA offices are used for determining initial eligibility, some processing of premium payments, and for limited public contact information. They also administer a financial needs-based program which supplements Medicare Part D program enrollees. This program may be applied for at any time, even previous to enrollment in Part D. It only provides no more than a $40.00 relief for monthly Medicare Part D premiums. To ensure consistent and efficient treatment of Social Security beneficiaries across its vast bureaucracy, SSA has compiled a giant book known as the Program Operations Manual System (POMS) which governs practically all aspects of SSA's internal operations. POMS describes, in excruciating detail, a huge variety of situations regularly encountered by SSA personnel, and the exact policies and procedures that apply to each situation. 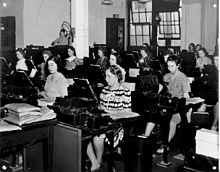 While the establishment of Social Security predated the invention of the modern digital computer, punched card data processing was a mature technology, and the Social Security system made extensive use of automated unit record equipment from the program's inception. This allowed the Social Security Administration to achieve a high level of efficiency. SSA expenses have always been a small fraction of benefits paid. As a percentage of assets, the administration costs are 0.39%. SSA operates its own administrative adjudication system, which has original jurisdiction when claims are denied in part or in full. SSA decisions are issued by Administrative Law Judges and Senior Attorney Adjudicators (supported by about 6,000 staff employees) at locations throughout the United States of the U.S. Office of Disability Adjudication and Review (ODAR), who hear and decide challenges to SSA decisions. Dissatisfied claimants can appeal to ODAR's Appeals Council, and if still dissatisfied can appeal to a U.S. District Court. Over the years, ODAR has developed its own procedural system, which is documented in the Hearings and Appeals Litigation Law Manual (HALLEX). ODAR was formerly known as the Office of Hearings and Appeals (OHA) and, prior to the 1970s, the Bureau of Hearings and Appeals. The name was changed to ODAR in 2007 to reflect the fact that about 75% of the agency's docket consists of disability cases. ODAR also adjudicates disputes relating to retirement claims and has jurisdiction when the paternity of a claimant or the validity of a marriage is at issue when a claim is filed for benefits under the earnings record of a spouse or parent. The agency also adjudicates a limited number of Medicare claim issues, which is a residual legacy from when SSA was part of the U.S. Department of Health and Human Services. Bloomberg reported that SSA made a $32.3 billion mistake when reporting 2009 U.S. wage statistics. The error when corrected, further reduces the average 2009 U.S. wage to $39,055. In 2009 the average U.S. wage was reported as $39,269. Each year, just before Mother's Day, SSA releases a list of the names most commonly given to newborn babies in the United States in the previous year, based on applications for Social Security cards. The report includes the 1,000 most common names for both genders. The Popular Baby Names page on the SSA website provides the complete list and allows searches for past years and particular names. ^ Social Security and Medicare Boards of Trustees. "A Summary Of The 2017 Annual Reports". Office of the Chief Actuary, Social Security Administration. ^ Davidson, Joe (March 12, 2018). "Social Security is now headless because of Trump's inaction. Will other agencies be decapitated?". The Washington Post. ^ "Financial Report Fiscal Year 2014 of the United States Government" (PDF). Retrieved 2015-02-25. ^ "The Best Places to Work in the Federal Government". Retrieved 2015-04-24. ^ a b Social Security Administration. "Brief Graphic Organizational History". U.S. Government. Retrieved 2007-05-24. ^ "Trenton Facts". The Courier-News of Bridgewater, NJ. 4 October 1935. p. 21. Retrieved 18 August 2017. ^ Henning, Arthur Sears (4 October 1935). "New 'Hot Boss' Fears High Courts: Laws So 'Learned' They Defeat Purpose". Chicago Tribune. p. 21. Retrieved 18 August 2017. ^ "Inferiority Complex". Review of Reviews. 1936: 29. Retrieved 18 August 2017. ^ "Social Security History". www.ssa.gov. ^ Social Security Administration. "The First Social Security Beneficiary". U.S. Government. Retrieved 2007-05-24. ^ Social Security Administration. "Special Collections Chronology: 1930". U.S. Government. Retrieved 2007-05-24. ^ "Cost-of-Living Adjustment (COLA) Information | Social Security Administration". www.ssa.gov. Retrieved 2018-08-06. ^ "Social Security History - Social Security Commissioners". www.ssa.gov. ^ a b "GN 01050.051 Who reviews and services claims". Program Operations Manual System (POMS). Social Security Administration. May 25, 2018. Retrieved March 17, 2019. ^ Queens, Proposed Federal Building: Environmental Impact Statement. Social Security Administration. 1981. ^ a b "Richmond To Dig S.F. Loss". The San Francisco Examiner. July 31, 1973. p. 3 – via Newspapers.com. ^ Analysis of the Social Security System: Hearings Before a Subcommittee of the Committee on Ways and Means, House of Representatives, 83rd Congress, First Session, Parts 1-8. U.S. Government Printing Office. 1953. p. 570. ^ "Organizational History". Social Security History. Social Security Administration. Retrieved March 17, 2019. ^ a b c Garcia, O. R. (January 18, 1974). "Historical Interview with Milton Freedman". Social Security History: Oral Histories. Social Security Administration. ^ Supplemental Appropriation Bill for 1962: Hearings, Committee on Appropriations, United States Senate, 87th Congress, First Session, H.R. 9169. U.S. Government Printing Office. 1961. p. 301. ^ "S.F. to Lose Big Payroll?". The San Francisco Examiner. December 7, 1972. p. 11 – via Newspapers.com. ^ a b Molotsky, Irvin (November 16, 1979). "Federal Building in Queens Urged to Aid Economy". The New York Times. p. B3. ^ Dallas, Gus (April 20, 1980). "A biz district is finding the road back". Daily News. New York. p. 3B XQL – via Newspapers.com. ^ Rainie, Harrison (December 14, 1979). "Site for fed office stirs row". Daily News. New York. p. XQ1 – via Newspapers.com. ^ Murray, Alice (February 4, 1980). "SS move called disaster". Daily News. New York. p. 3XQ – via Newspapers.com. ^ Hardy, David (April 20, 1980). "Battle's building up on fed office". Daily News. New York. pp. 1B, 3B XQL – via Newspapers.com. ^ Davila, Albert (November 11, 1988). "Jamaica on the march". Daily News. New York. p. XQ1 – via Newspapers.com. ^ "Positions Available at SSA". Social Security Administration. Retrieved March 17, 2019. ^ "Terms Defined for Section 218 Agreement Purposes". Social Security Administration. ^ "What is an interstate instrumentality? Social Security Handbook (July 8, 2004), Section 1002.3. ^ "Social Security Publications". Socialsecurity.gov. Retrieved 2012-05-09. ^ "Publication 963 (Rev. 11-2011)" (PDF). Retrieved 2012-05-09. ^ "Member Agency | United States Interagency Council on Homelessness (USICH)". Usich.gov. Archived from the original on 2012-04-24. Retrieved 2012-05-09. ^ "Supplemental Security Income (SSI)". Center on Budget and Policy Priorities. 2018-01-29. Retrieved 2018-08-06. ^ "SSA's Policy Information Site - POMS - About POMS". secure.ssa.gov. ^ Robert Genetski. "Administration Costs and the Relative Efficiency of Public and Private Social Security Systems". CATO Institute. Retrieved 2010-09-27. ^ Donmoyer, Ryan J. (2010-11-02). "`Invalid' Forms by Supposed Billionaires Skew U.S. Wage Figures". Bloomberg. Archived from the original on 2010-11-04. Retrieved 2012-05-09. ^ "Reversing Trends" (PDF). Archived from the original (PDF) on 2010-11-30. Retrieved 2012-05-09. ^ Social Security Administration. "Popular Baby Names". U.S. Government. Retrieved 2007-05-24. Social Security Handbook, Germania Publishing, 2006. SSA Pub. No 25-1556. Teleservice Representative Basic Training Curriculum Introduction Unit 1 Lessons 01-08 Student. pp. 7–15. Social Security Administration. April 2006.